As we dive, dive, dive, we might recall that it was on this date in 1875 that the first sounding of the Mariana Trench– the deepest natural trench on Earth– was made by the British survey ship H.M.S. Challenger during its first global expedition. Accurate measurements from the surface remain difficult; but in 2010, NOAA used sound pulses to record a 36,070-ft (10,994 m) depth in the Challenger Deep at the southern end of the Mariana. The Challenger‘s voyage was the first expedition organized specifically to gather data on a wide range of ocean features, including ocean temperatures seawater chemistry, currents, marine life, and the geology of the seafloor– that’s to say, it was the birth of modern oceanography. 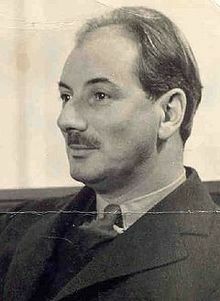 Mumford’s approaches to technology, its history, and its roles in society were acknowledged influences on writers like Jacques Ellul, Witold Rybczynski, Amory Lovins, E. F. Schumacher, Herbert Marcuse, Thomas Merton, and Marshall McLuhan. In a similar way, he was an inspiration for the organicist and environmentalist movements of today. Unfortunately, once an economy is geared to expansion, the means rapidly turn into an end and “the going becomes the goal.” Even more unfortunately, the industries that are favored by such expansion must, to maintain their output, be devoted to goods that are readily consumable either by their nature, or because they are so shoddily fabricated that they must soon be replaced. 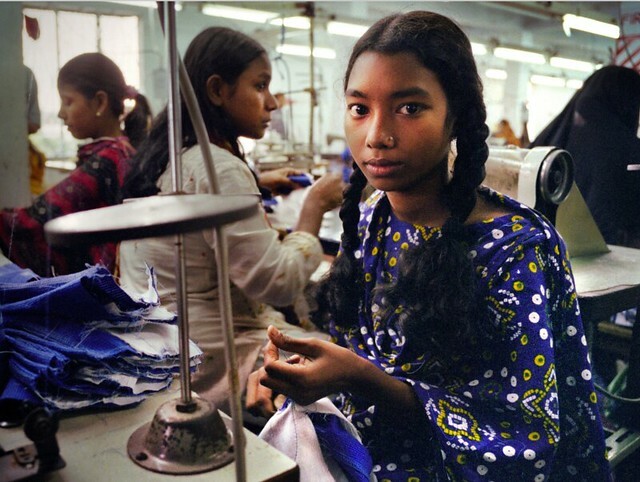 By fashion and build-in obsolescence the economies of machine production, instead of producing leisure and durable wealth, are duly cancelled out by the mandatory consumption on an even larger scale. In America, average income has been basically flat for five decades as economic gains increasingly go to a tiny minority at the top of the income bracket. But American wage stagnation is only a small part of a larger global story — one that is summarized in a fascinating new graph. Swedish statistics professor Michael Höhle put together a fascinating visualization of the distribution of incomes, adjusted for inflation, in Africa, the Americas, Asia and Europe between 1950 and 2015. Höhle is visualizing date from Factfulness, the last book from the late (and dearly missed) Hans Rosling (see here, here, and here). 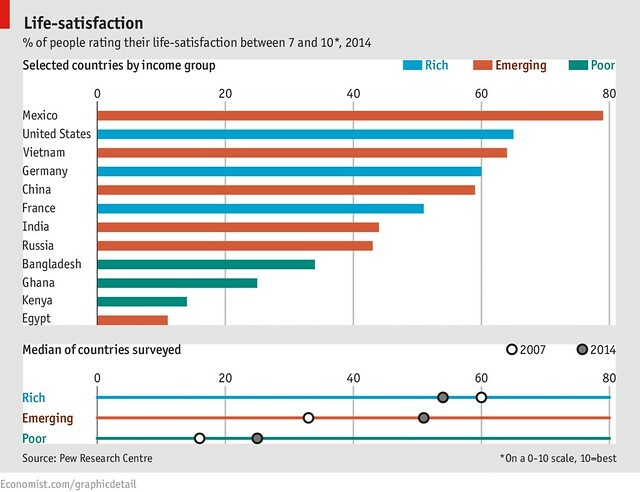 Read more at “A Fascinating Visualization Of How Income Has Changed Around The World Since 1950” and learn more of Höhle’s method here. As we deliberate on distribution, we might send inclusive birthday greetings to Meghnad Jagdishchandra Desai, Baron Desai; he was born on this date in 1940. An Indian-born U.K. economist and Labour politician, he is the first non-UK born candidate to stand for the position of Lord Speaker in the British House of Lords. At the end of this crazy bull market, it’s always worth remembering just how enormous the big winners’ gains have been. Specifically, the world’s billionaires – the richest 2,000 people on the planet – saw their wealth increase by a staggering $762 billion in just one year. That’s an average of $381 million apiece. If those billionaires had simply been content with staying at their 2016 wealth, and had given their one-year gains to the world’s poorest people instead, then extreme poverty would have been eradicated. Hell, they could have eradicated extreme poverty, at least in theory, by giving up just one seventh of their annual gains. You can download the report (pdf) here; it is well worth the read. 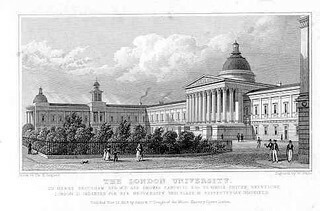 As we rethink “fair’s fair,” we might recall that it was on this date in 1826 that University College London was founded. Originally known as London University, it was inspired by the (then) radical ideas of Jeremy Bentham (one of the founders) and created as an alternative to the Anglican universities of Oxford and Cambridge. UCL was the first secular university in the UK (admitting students regardless of their religion) and the first to admit women. It is currently the third largest university in the United Kingdom by total enrollment (and largest by postgraduate enrollment), and is consistently ranked among the top universities in the world. As we wander past a warm gun, we might recall that it was on this date in 1922 that British archaeologist Howard Carter and his crew discovered a step leading to the tomb of King Tutankhamen in the Valley of the Kings in Egypt. 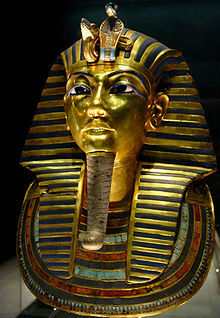 The subsequent discovery of Tut’s nearly-intact tomb was a world-wide sensation, and ignited renewed public interest in ancient Egypt, for which “King Tut”‘s burial mask, now in Cairo Museum, remains the popular symbol.